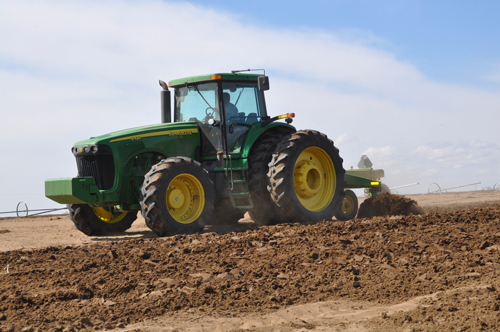 Malheur County enjoys a vibrant Agriculture sector. Agriculture is the leading industry in the County. Cattle and onions are our largest crops, but we also produce tremendous volumes of sugar beets, wheat, corn, alfalfa, potatoes and dry beans. Incredibly, there are two momma cows for every person in the county. During the winter time we deliver about 1/3 of all onions in the U.S. Malheur County is also a leader in some important, but small acreage crops like radish seed, sweet corn seed, alfalfa seed, clover seed, bees and honey. Over 183,000 acres are irrigated in Malheur County, producing over $350 million in farmgate revenue. That’s over $11,000 per person in the county. Transportation is critical to our agriculture industry because of our relatively remote location. Our crops and cattle are destined for markets across the US and around the world. We have an excellent location on both I-84 and on the Union Pacific mainline. However, we do not necessarily have great options for using those key transit arteries. 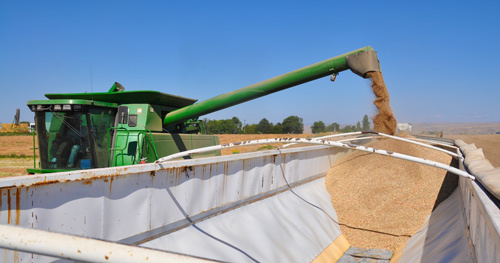 Shippers struggle to find sufficient trucks to haul crops through the winter. Union Pacific forces us to haul containers to Salt Lake or Portland before they can be loaded on trains. The net, for our industry here, is that our transportation costs are higher than our competition and we lose customers. We advocate for higher weight limits on trucks, and we have support proposals for a multi-modal rail terminal in the Treasure Valley. We need better transportation options. Government Over-Regulation creates a sense of trepidation among business owners who may want to expand their operation. We must enable, and not discourage, these willing entrepreneurs. Some recent issues that have caused problems include Sage Grouse regulations, FSMA water quality regulations, increases to minimum wages, grazing rights renewals and SSPS fluids containment. There are many, many current and potential regulatory activities which have a negative effect on decision makers here. We need to manage government over-regulation. Leadership is key to growing our existing base. We realize that Malheur County’s poverty problems will be solved by people who are here now. This will require better leadership. Creating new value-added traded sector businesses, and expanding existing ones, will require better skills, better networks and better experience from our business leaders. We have proposed a state-wide agriculture leadership program similar to ones already active in 37 other states. We must strengthen our local agri-business leadership. Technical employees are key to deliver the products and services the future economy needs. Expanding our Ag Traded Sector will require more people with advanced skills. This will lead to higher wages, which will address our fundamental issue, poverty. We must improve our technical employee base. While Malheur County has very important businesses involved in potato processing and onion packaging, there is a tremendous opportunity for expanding our Ag Traded Sector. Most of our crops and cattle leave the county as raw goods, to be handled or processed in other markets. If we can increase our value add, we can substantially grow our local economy, moving us from Poverty to Prosperity.